I’m pleased, proud and excited to announce my involvement in one of the more interesting magazine projects around at the moment. Dirty Bristow is, as the clever buggers who thought it up say, a project dedicated to resurrecting the magazine as a fetish object. That is, as something to both covet and collect. An object of desire. Beautifully printed on premium stock, DB is designed to be proudly displayed on your bookshelf. Each issue takes a loose theme as the subject, which the contributors explore as they see fit. Issue 1 fittingly takes on the subject of birth, with articles on (to thinly scrape the surface) overpopulation, free-running, the creative process, architecture and stand-up comedy. Impeccably designed, deliciously illustrated, the thing is a joy to own. Yes, of course I’m overegging it. Vested interest, donchaknow. Aart from the cover price, the mag is funded through merchandising and live events, to make sure that you get a product free from ads. There’s no compromise, no sellout. Everyone who contributes to Dirty Bristow is free to say what they want, how they want. It’s an open forum, mixing the freedom of the small press with the production values of the glossies. The closest thing to it on the news-stands is probably Little White Lies, which has the same themed approach, attention to detail and love smeared thickly over every page. Finally, finally, issue two is on sale. The theme is BEAST. Eighty pages of articles, thinkpieces, illos and fiction. And somewhere in there: me, with an article on the smallest and most important beast of them all. I’m chuffed to bits to be asked to contribute, and can’t wait to see how it looks. Here’s the important bit. 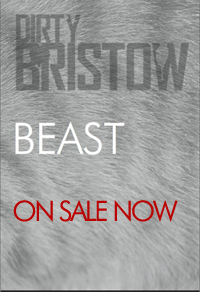 You can order Beast here. While you’re at it, Birth and badge and sticker sets are available too. And the call is now out for contributions to issue 3: BREAK. I plan to submit to that, too. 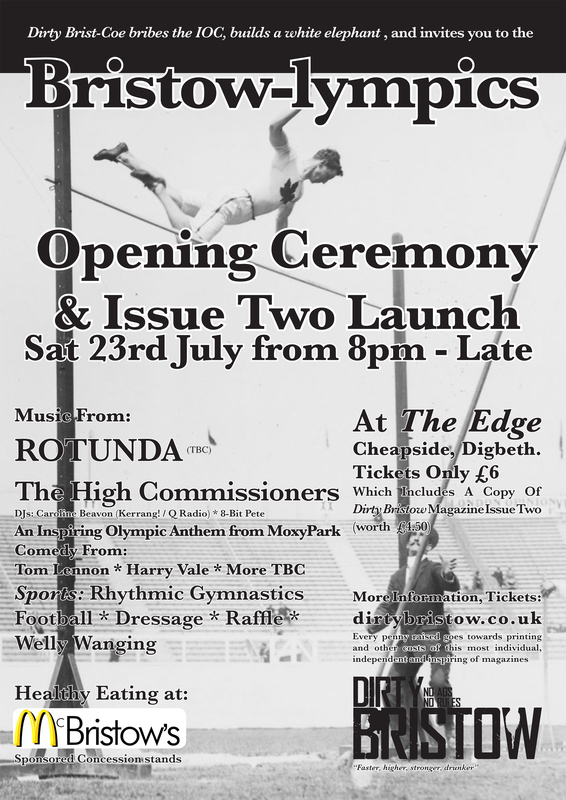 Further, the launch party for Beast is on July 23rd, at the Edge in Digbeth, Birmingham. Six quid gets you entry, a copy of Beast and all kinds of music and general frivolity. If you’re in the area, you should give it a go. Dirty Bristow. The fetish object that you can show to your mum.